It’s only fit that this month’s speaker’s job would be summed up in curiosity! This month’s speaker is a journalist. A journalist who has experienced the highest of the highs of his field of work and has went the extra mile in the hopes of reaching the highest levels of curiosity in the news. This month we have the honor of hosting Reza Sayah, current journalist for France 24 news station and former journalist of CNN and Al Jazeera news. We’ll be hearing about curiosity and we’ll get to familiarize ourselves with his particular point of view on the subject. 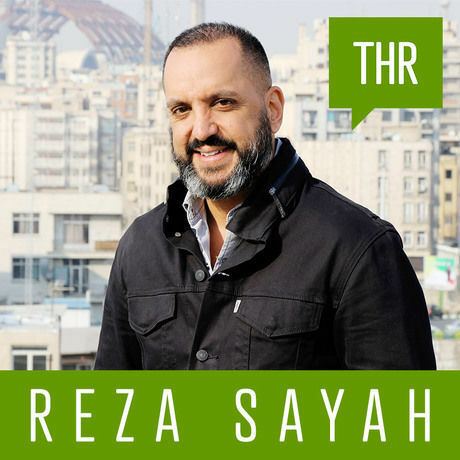 Reza Sayah has performed as a news journalist for over 20 years now and he’s had reports on important events such as the 9/11, the on-going conflicts in Afghanistan, Libya, Syria and the revolution in Egypt and it’s been two years since he’s returned to Iran and created his media company by name of “Raaviaan” (translated to be “the narrators”) to create documentaries, short films, reports and visual stories whilst continuing his never-ending curiosity in the news field. شغل سخنران دهمین رویداد صبح خلاق تهران که با موضوع کنجکاوی برگزار می‌شود، کنجکاوی است! سخنران این ماه ما یک خبرنگار است. خبرنگاری که در رشته کاری خود بزرگ‌ترین پیشرفت‌ها را تجربه کرده و تا اوج کنجکاوی خبری پیش رفته است. این ماه ما میزبان رضا سیاح، خبرنگار شبکه خبری France24 و خبرنگار اسبق تلویزیون CNN و شبکه الجزیره هستیم و از کنجکاوی می‌شنویم و با دیدگاه رضا سیاح در خصوص این موضوع آشنا می‌شویم. رضا سیاح 20 سال به عنوان گزارش‌گر خبری فعالیت کرده و در اتفاقات مهمی از جمله حادثه 11 سپتامبر، درگیری‌های افغانستان، لیبی، سوریه و انقلاب مصر گزارش تهیه کرده و اکنون 2 سال است که به ایران باز گشته است و در اینجا شرکت رسانه‌ای راویان را برای خود تاسیس کرده تا در کنار کنجکاوی خبری خود، به تولیدات فیلم‌های مستند، فیلم‌های کوتاه و گزارش‌ها و روایات ویدیویی بپردازد.